“It Won’t Be Like This All The Time” is a promise, and a threat. And right now, I need to hear that it won’t be like this all the time : because here and now, I’m – like many people – fucked in Brexitland. If you have any kind of anxiety, or even common sense, the concept that somehow the fragile life we have spent all our lives buildings will be thrown over the cliff edge of a no deal Mad Max Brexpocalypose is a form of terrorism and I need to hear that It Won’t Be Like This All The Time. Because I don’t know how much more of reality I want to be around. And this is exactly what I need. It’s been four long years since their last album, and so much has changed, and nothing has changed. Feelings, emotions, eating, sleeping, they are unchanged. Immortal. Starting with “10 Good Reasons For Modern Drugs”, the album sets out its stall early – and assertively. It’s a pulsing, angry beast, which fulfils all the promise the band have ever had. These are the best songs they have written. Sonically, it’s immaculate – if My Bloody Valentine and Jesus And Mary Chain had somehow become stadium filling rock gods and learnt how to write the best songs of all time, and on top of which sit strong, powerful, heartfelt songs about love, loss, loss of love, and the shining beacon of hope in all of them. And lets not forget that all of this beauty and the serrated, perfect guitar tones mean nothing without the songs. It’s dripping in unforgettable vocal hooks – The urgent, pleasing “I’ll call you. Call you all night” of “10 Good Reasons” become, somehow, more and more important and meaningful through a repetitive, compulsive demand. This whole album cuts through to the sound in my head of what it is to love, and to long, and to lose. The next song is “Shooting Dennis Hopper Shooting”. First time I heard it I realised that this band were poised on the edge of the next great leap forward – and that they had made it. I thought they couldn’t get any better, and yet somehow, they have. It’s a stuttering, threatening coiled beast, rotating on a feedback riff loop, and make no mistake, it means as much to the band – this raw honesty – as it does to some of us. 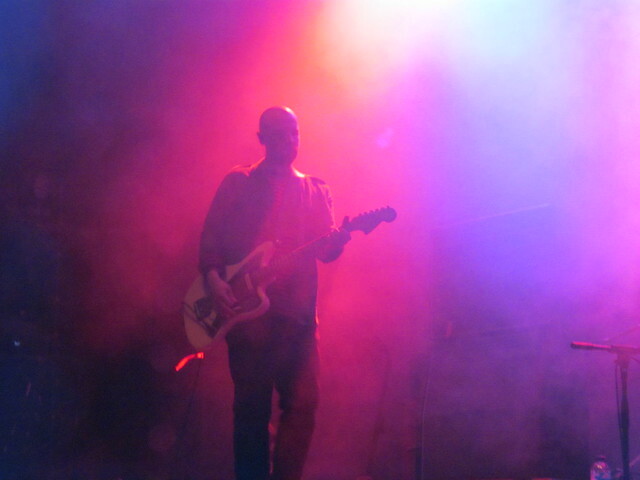 Like the rest of the album, the underrated Jonny Doherty provides pulsing basslines – reminding me of the much under-appreciated Andy Rourke’s sense of melody (where they could have been lead guitar), that counterpoint the guitar and keyboard textures like the band has deep, low rhythmic lead guitarist which reminds me, often, of New Order’s unusual rhythms. The drumming is precise, efficient, and beating ; each song sounds simultaneously claustrophobic, and embracing. I get lost in these dense soundscapes, and then a voice cuts through as the guitars come to a crescendo. And each song seems designed to sit comfortably, perfectly, next to the other. As if, somehow, the ebb and flow is designed to maximise the effect. Like an action movie, sometimes you have to breathe – to make the whole work even better. “VTr” is track 4, and I have waxed lyrical on this many times. 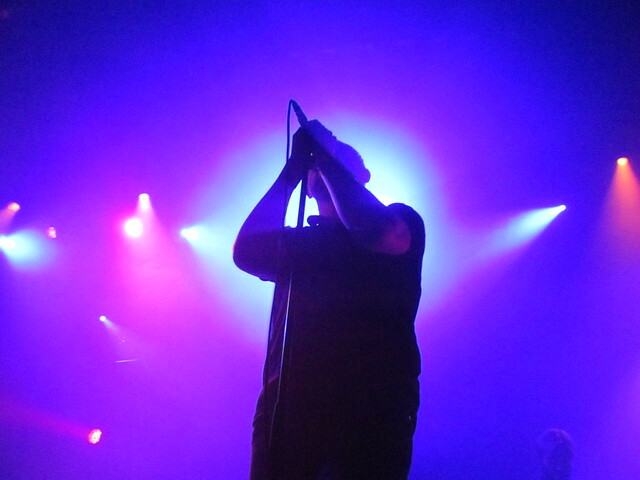 But it is the best Twilight Sad song ever. Ever. It’s a pounding lesson in tension and release, in power and glory, all wrapped up in lyrics that seem to address the monster of mental health, about a monster inside of you, someone that we didn’t choose, and how we all have to live with our invisible demons, and how we fight them, and how sometimes, we win. You have genuinely no idea how much I love this song. “Sunday Day 13” is a delicate, and heartfelt moment of pause. Even inside the power of love, which is a glorious thing, this album never forgets that that power is a blessing and a curse. At all points, and all sides, every song is about the weight of love – how its power can set us free or destroy us in the same movement – and how it’s amazing, and must be embraced. Because it will hurt, but it will heal. That’s what I take from this album. In every line of every song. If you’ve ever had feelings, you probably know exactly what he means. The first time I heard “Auge Maschine” my jaw actually fell open. Especially when the words cut to a refrain of “you saved my life” seconds later, as somehow the feeling that saved your life has gone away, and you have to carry on anyway. You can’t die of a broken heart. God knows some people have tried to prove that theory wrong. And then comes “Keep It All To Myself”, which feels like a direct sequel – in the way that every song on this album seems perfect for the song before and after it, creating an album that feels like one, long, perfect song made of multiple parts. 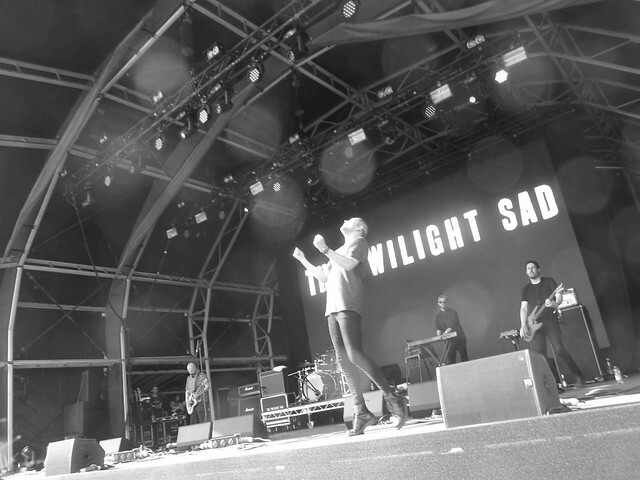 “Let’s Get Lost” is classic Twilight Sad, yet better. Any traces of spindly indie rock are banished forever in a band that are so, so much bigger and better than I dared hope they could be. The final song is “Videograms” – an old technical term for a media delivery system like a DVD or a VHS player, drawing attention to the artifice of recorded music in the very title. There’s no sense at any point in this album that the band are anything other than utterly in control of their powers, and able to wrap the whole album up in a finale that sounds like both a veiled threat, and a controlled, precise radio-controlled bomb straight to the soul. The walls of noise are still in there, but they’ve learnt how to control it, bend it, guide it, and how to cut right through everything, like a surgeon to get to the soul of feeling and articulate the elusive speech of the heart. I needed this. In ways I didn’t quite know. And there won't be a better album all year.